A personal website is an ideal platform to showcase your personality while trying to get a job. If you have been listening to me for the past four and a half years, you know I think there are many other benefits of a personal website. But here I want to focus on the personality aspect. 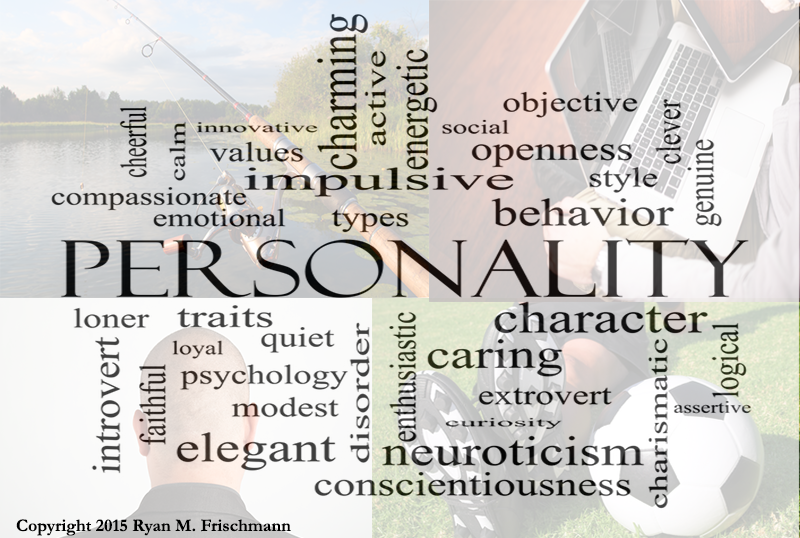 Why should you care about how your personality is portrayed to prospective employers? The reason is: many employers are considering it as part of an initial screening process. Since a ‘personality check’ happens so early in an employment evaluation, if you do not pass, you do not get a chance to make a face to face impression in an interview. Does a personality test effectively tell your story? Do social media profiles capture your essence? Taking a personality test. It varies and depends on the test. Employers will argue they have stats indicating how a candidate answers particular questions predicts future performance; though according to one study: “only 14% of organizations have data to prove the positive business impact of their assessment”. [iv] I think the testing is skewed because of the tremendous amount of pressure a candidate faces trying to impress to get a job. Have you ever taken a personality test for a job? I took one while trying to land my first job after college. I was applying for a financial advisor position. The test was a minefield of questions on ethics. With many of the questions, I remember thinking over and over again: “how do they want me to answer this question?” I desperately needed a job! LinkedIn presence (profile, content, and updates). There are a lot of great features of a LinkedIn profile for an employment evaluation. Its strengths include: being indexed by a powerful search algorithm and the representation of connections and endorsements. Do you think it represents your personality, however? Not me. It is too formal and has a uniform style – other than your profile background image. Everyone has the same layout – a boxy table. When I write content for LinkedIn, I write in a ‘professional voice’ (not a ‘creative voice’). Though it is possible to add various forms of media, it does not have the same depth of a personal website. Finally, if you are a student or an early career professional, your LinkedIn profile does not have much content. Facebook presence (profile, content, and updates). Of course, a Facebook presence is much more a personal reflection than a LinkedIn presence. As an assessment of your personality, it shows everything from all stages in your life. But your personality develops in stages. Moreover, elements of your social life (like ‘referenced drug and alcohol use’) are not strong indicators for how you would perform at a job. It is also much more difficult to control a Facebook presence because you have so many audiences. A personal website gives you a chance to create a deep persona; it puts everything together, so you have control over the impression. You have a home page. This is where you choose an effective style and layout and carefully crafted content to make a powerful fifteen second first impression – a viewer’s gut reaction. You have a blog. Anyone who reads your posts gets a glimpse into how you think and what you have to say. (On my blog, I share stuff about me such as my love of fishing and Grateful Dead improv.) You have video. Create a powerful message across many dimensions – a script, setting, action, etc. Finally, with a personal website, you have full control of all the content, down to the pixel. You may have to take a personality test and your social media may be reviewed. Regardless, an employer will review your personal website where you own the impression. Often times I think in functional ways, so get tunneled vision on sharing key concepts and forget to include personal reflection. So, in this blog, I thought I would share some of the stories behind the concepts. The story behind a mainstream personal website service starts around Christmas time in 2010. I pulled my brother’s tag from a hat for our family grab-bag and I had to give him a gift. He has traveled extensively around the world, so I was going to build him a website to share his travel experiences with stories and images. However, he preferred having his own personal website to help promote his work for non-profits. Of course, I tried taking a short-cut by using a platform from an existing web service. I could not find one – there was not a web service with the functionality we needed. This is when my brother and I knew we had an opportunity to be innovative by designing a personal website service. We learned two important characteristics about a personal website from this experience. First, it establishes an online identity. A person wants it to appear first in a Google search about them, therefore it must deliver a deep, meaningful impression. Second, there are both personal and professional themes on the website. Part of an effective personal website is presenting and validating skills, but another equally important part is communicating an aura – something that requires media, style, and aesthetics. I took an interest in academics at the start of senior year of my undergraduate education, before then I was more into a social experience. I was in a fraternity and made some great, lifelong friends (would not change that). But my goal was to get a degree, not actual learning. For that year and in my graduate education, I performed well academically. It was simply a switch- balance social and academic experiences. All it takes is accountability, dedication, and tricking yourself that learning is enjoyable. I want to help others to turn on the switch earlier in their lives. In creating the Skills-Based Approach methodology, one of my primary objectives is to get college students and young professionals on the right career track. I feel so many young adults lack maturity, so do not go through the necessary self-reflection to find career fulfillment. Personally, I think it is a generational thing. In their two books Academically Adrift and Aspiring Adults Adrift, the authors provide a compelling case that this problem of career preparedness affects a majority. In A Skills-Based Approach to Developing a Career, I suggest four career planning strategies: craftsman’s mindset, self-awareness, product to market, and passion theory. My goal is to get the average person thinking about higher education and a career much earlier, take responsibility for their own learning, and grow personally and professionally – be happy. I root for the underdog. A person who has fresh insights should be successful, regardless of their status and how many connections they have, in my opinion. Things I fear about personal branding approaches laden in self-promotion is that it becomes a ‘popularity contest’ in social media and credentialism takes over. 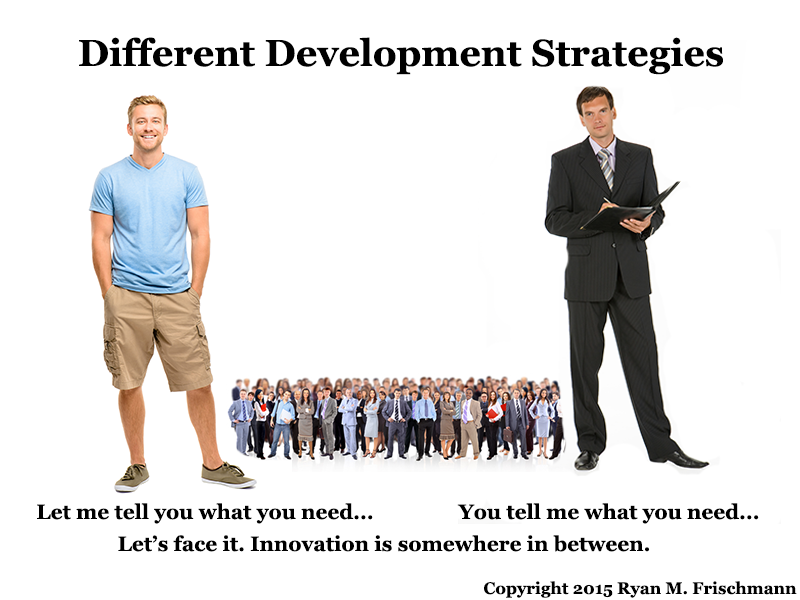 This is why I am an advocate of using the power of demonstration. Get your ideas and content out there. With online personal branding, one of my goals is to remove the stigma of self-promotion. I acknowledge varying doses of self-promotion are required in personal branding because professionals compete against each other, whether it be for a position, clients, or eyeballs on content. I cringe when forced to self-promote. I am more or less an introvert who prefers writing and sharing content, then sitting back and hoping it gets read based on the content itself (and not what I say about myself). So I came up with a model of online personal branding where self-promotion is not a focal point. 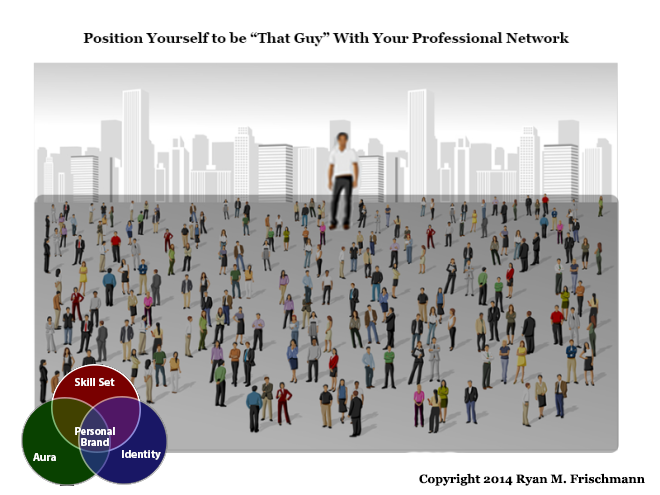 Instead I suggest assessing your skill set, aura, and identity and then projecting it onto a network. No one likes too much self-promotion on a personal level, why do we accept so much of it on a professional level. In late 2013 to early 2014, I conducted a survey to understand what Millennials think about online personal branding. Millennials are digital natives and know more about social media, apps, and technology than any other generation. I targeted this segment of the population because it is the first generation that must invest in an online personal brand (at least I think so). In addition, Millennials already have an online presence – more than 80 percent use Facebook – so they will have to make a transition when they become professionals. How are they going to manage all the personal content from their teenage and college years? What about the hundreds of connections they have made? And at some point, they will face maturity. Most of the respondents feel an online personal brand is ‘somewhat important’ and only 9.60 percent think it is essential. A large number, 26.93 percent, think it is ‘not important’. 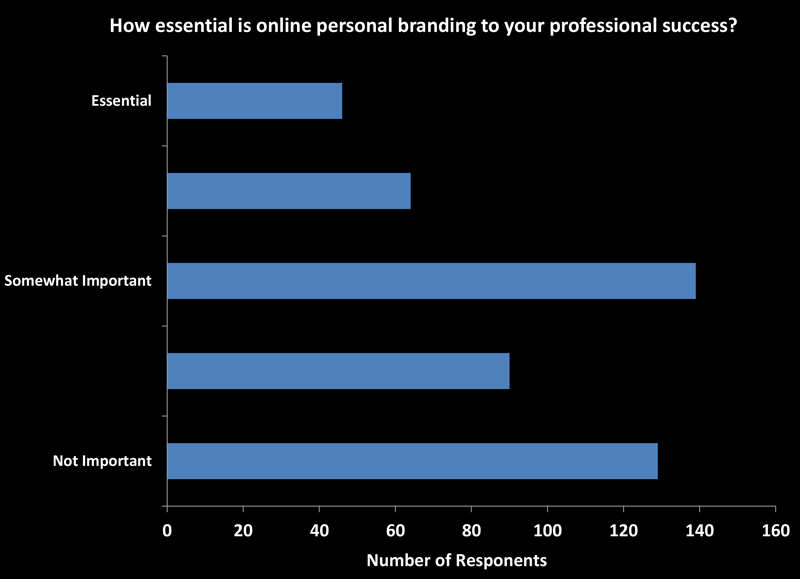 I am not surprised by having such a large number of respondents say online personal branding is ‘not important’. They probably do not know much about it. I used a broad sample canvasing many professional backgrounds and unfortunately most articles and books about personal branding cater to ‘white collar’ professionals. One Thing That Does Everything? Is it better to have a single device or application that performs many functions well, or multiple devices or applications that do a particular function best? In other words, you can have an IPhone OR a cell phone, digital camera, calculator, MP3 player, and GPS device. I got to contemplating how a similar phenomenon plays out on a personal website and more broadly with your personal branding efforts. Is a personal website enough? How do you decide which social media profiles to participate in? When should content overlap? With a personal website, there are some clear advantages in using already established web services. Here are two examples. YouTube does an exceptional job handling video. It verifies copyright privilege, distinguishes content for a mature audience, and manages a variety of different video file types. In fact, w3schools.com (the best HTML reference) suggests using their video tags in HTML5. (Also worth considering, if you get enough traffic, you get paid for the number of hits to your video.) Google analytics is a powerful tool to understand website traffic. It is a simple, yet robust platform. The benefits in using specialized applications are twofold: they are the best thing out there and will be continually updated to remain the best thing out there (by incorporating the latest technologies and adding new functionality). As a developer, it is refreshing to not worry about continually updating something that is not the focal point of the service. For example, it is possible to feed a script to Google Maps and rely on Google to provide the best possible mapping interface. It becomes tricky as you decide what platforms to use and how you choose to use them. No matter how efficient you are collectively, there will be overlaps. 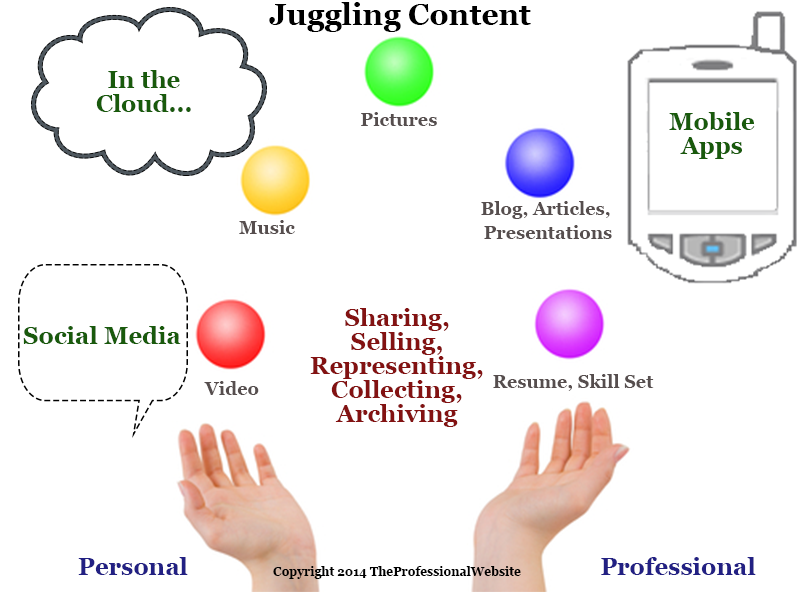 Referring to the example above, say a personal website acts like the IPhone – a single platform with your multi-dimensional resume, photo galleries, a blog, etc. This substitutes the need for Instagram or Flickr and WordPress or Tumblr accounts and supplements a LinkedIn, Google+ and Facebook profile. There are benefits in having your content and functionality ‘all under one hood’. Content is altogether. It is easier for viewers to find. Content is integrated. This adds dimensions/layers and makes it searchable. Content is managed and administered in one central console. A single service might cost less than multiple services. The way I use a personal website with my social media profiles is to take advantage of what the social media application does best and wherever possible, link back to my personal website. For LinkedIn, I publish a barebone resume, mission statement, and list of skills. There is a link to my personal website, which I really want a recruiter, colleague, or client to click on when viewing the profile. I also publish my skill set in Facebook and Google+. Why? Because skills are highly searchable, I want to provide the right keywords for effective searches on each of the networks; skill sets are one of your most valuable commodities. Regarding the use of many applications, I prefer having everything in one place, though, see the attractiveness of mobile applications – they are quick and direct (surprisingly, managing applications that perform particular tasks seems to save time). Going forward, mobile applications should integrate with your personal website. Author TheProfessionalWebsitePosted on February 23, 2014 June 19, 2015 Categories Designing Personal WebsiteTags personal website1 Comment on One Thing That Does Everything? There are a few reasons why graduating high school seniors should consider having their own personal website. First, if they are applying to colleges, it can infuse aspects of their personality to a standard college application (by using other forms of media such as a video essay). Second, it is a platform for career development and planning – they are forced to show vision with their career. Third, it “starts the ball rolling” with personal branding – something that takes a long time to develop; they begin making connections and impacting how others perceive them. If a picture is worth 1,000 words, then you’ve got to figure a video would be worth way more than your average college essay. None of the colleges require them. A college cannot be sure all applicants have the resources to create a video or personal website. Most selective colleges will review them (though consider them as supplemental). You should provide as much content as possible with a college application, so use a video essay to show ingenuity. There are two ways to submit the content as a hyperlink: in the supplemental section of an online application or an email to the college admissions office. Field of study demands a demonstration. If you are applying to art school, you might provide a portfolio of artwork. If you are applying to a highly technical program, you might share a project you worked on. And there are many other examples where the best way to establish credibility is by demonstrating with a sample of work. Some colleges have a heavy load of applications. One admissions counselor said his school receives sixty-five thousand applications so it is difficult to allocate any more time to review an application. Moreover, it is only fair to make “apple to apple” comparisons among applicants. Call the admissions office before filling out an application and ask about their policy for accepting a video essay and/or personal website. Graduating high school seniors should have a personal website because it forces them to start planning and developing their career. While developing their personal website, they must formulate short-term career objectives. They identify what skills they need and how they plan to build an expertise with them (as proposed in the planning stage of a skills-based approach). A personal website starts small (perhaps only a video), and grows incrementally as a professional matures. Create a personal brand for the future. Students should take the time in college to work on their personal brand, so after graduation, they are prepared for the job market. They should learn personal branding techniques, conduct peer reviews on how others perceive them, and employ trial and error to get the perception right. Having already established a personal brand when graduating college is a huge advantage for job seeking. Manage published content. I understand most high school seniors want to be social and do not consider the nuances of a professional reputation. It makes sense to have personal content in social media (just nothing unsavory or unlawful). So early in a career, a personal website serves as a primary professional reference (an identity). Create connections. An important part of personal branding is connecting with others. High school seniors are probably already well versed in Facebook but will have to learn to make professional connections in LinkedIn. A personal website becomes a landing page for social media services. Developing a personal website is sophisticated. There are many dimensions to a personal website: style, appearance, demonstration, content, communication, and personality. Building a personal website is time-consuming; the more time you spend on it, the better it becomes.